Gainesville, Florida’s balance of nature, culture, and adventure make your vacation an experience you will never want to forget. During your stay at Sweetwater Branch Inn, you’ll want to relax by the saltwater pool, take a hike through San Felasco Hammock Preserve State Park, and of course, do some shopping! Whether you’re looking for that perfect souvenir to remember your stay, a great gift to bring back home to a loved one, or something fun that you can enjoy during your vacation, we’ve got you covered. 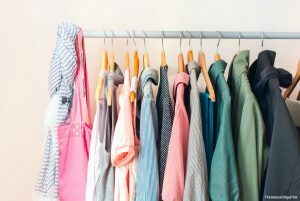 We picked out a variety of places for some Gainesville, FL, shopping, featuring everything from handmade goods to high-end brands! Find more great suggestions for things to do and see in the area in our comprehensive Vacation Guide! You could easily spend your entire day shopping at Celebration Pointe. Just 15 minutes away from Sweetwater Branch Inn, this outdoor mall is sure to give you an amazing Gainesville, FL, shopping experience. 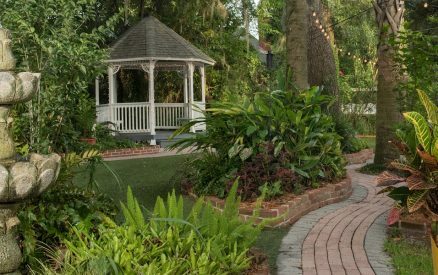 Walk from shop to shop on beautiful tree-lined sidewalks, then take a shopping break at one of the many restaurants or relax on the well-manicured greens with gorgeous waterworks and fountains! Celebration Point is home to many stores, including the popular Bass Pro Shops with over 82,000 square feet of outdoor recreation gear. Butler Plaza has any type of store you could ever imagine. This Gainesville, FL, shopping center is home to over 150 shops ranging from high-end clothing stores like Lily Pulitzer to grocery stores. 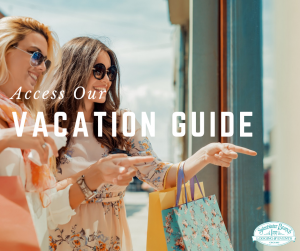 This is a great place to stock up on what you need for vacation. Make a quick stop at Trader Joe’s for some tasty snacks, then walk around and see what the rest of the plaza has to offer! Union Street Station is located in the heart of the historic downtown Gainesville and is less than a 10-minute walk from Sweetwater Branch Inn. The ground floor of the building is home to some retail shops and tasty restaurants. Grab a coffee from Starbucks, and then take a look at the privately-owned stores for a unique find. Enjoy a curated collection of vinyl records at Hear Again Music, one-of-a-kind gifts and artwork at a gallery, and vintage fashion at Persona Vintage Clothing. If you’re looking for something unique to Gainesville, then you should definitely browse through the Artisans’ Guild Gallery. This shop contains hundreds of items created by local Gainesville artists. Here, you can find handcrafted items that range from bags and clothing to handmade candles. This is the perfect place to pick up a special souvenir to remember your trip by! Are you in town for a big game at the Ben Hill Griffin Stadium? Ilene’s Gator Store boasts an excellent selection of the University of Florida football attire. Whether you’re looking for a blue and orange shift dress, a logo t-shirt, or unique accessories, you’ll find the perfect thing to wear for game day at this shop! Maybe you’re in the market for fashionable footwear for a night out. Perhaps you need a comfortable pair of walking shoes for a busy day exploring the city. Either way, you’ll find the perfect pair at Pinner’s Fine Shoes. With designer names like Jeffrey Campbell, Marc Fisher, and Amalfi, you’ll feel adequately outfitted for any occasion. Attend an array of fashion-forward events at Etc. Boutique. From alluring trunk shows and designer makeovers to a seasonal selection of the hottest new trends, this charming boutique has everything you need. Whether you’re looking for a little black dress for indulging in the nightlife or a date night-worthy outfit for a romantic evening, you’ll fall in love with a new look at this unique shop! If you’re on the hunt for vintage treasures or niche styles that sets you apart from the rest, look no further. From manic pixie dream girl aesthetics to urban 90s fly fits, Urban Thread serves the looks. Maybe you’ll find the beret of your dreams. Discover a beautiful floral dress to wear to the Museum of Natural History or out to one of the best Gainesville breweries. You’ll fall in love with the unique attire found at this charming boutique. Stand out from the crowd with vintage clothing from Flashbacks Recycled Fashion. Thumb through racks of bell bottoms, plaid skirts, crop tops, and printed A-line dresses. Scour the sales floor for the perfect set of earrings or a pair of shoes that nobody else has. Here, you can even find retro decor for your home as well! Peruse the highest quality items at Sandy’s Savvy Chic Resale. Discover unique wares and stylish accessories at this endearing consignment shop. Because they specialize in luxury goods, you’ll find designer name brands and exquisite, high-quality items at this shop. You can even find the artistic interior looks that will transform your home with one new purchase. What’s on your shopping list? After doing some Gainesville, FL, Shopping, make your way back to Sweetwater Branch Inn. Relax in one of our cozy rooms or cottages, then wake up to a delicious homemade breakfast. Choose between suites in our Cushman House or the McKenzie House. Perhaps you’d prefer to stay in a private cottage. Whether you want to be walking distance from downtown or are looking for a Floridian retreat, we have the perfect rooms for you to discover. Enjoy beauty and comfort during your stay from the lush gardens to luxurious rooms. Borrow a complimentary bike to explore downtown or simply relax by our saltwater pool. We want to make your visit to Gainesville an unforgettable experience!